Your store has a basic affiliate area available. If you would like to use this area please contact us so we can enable it for you. The affiliate system has a sign up page for your affiliates, in their affiliate area unique links can be generated. 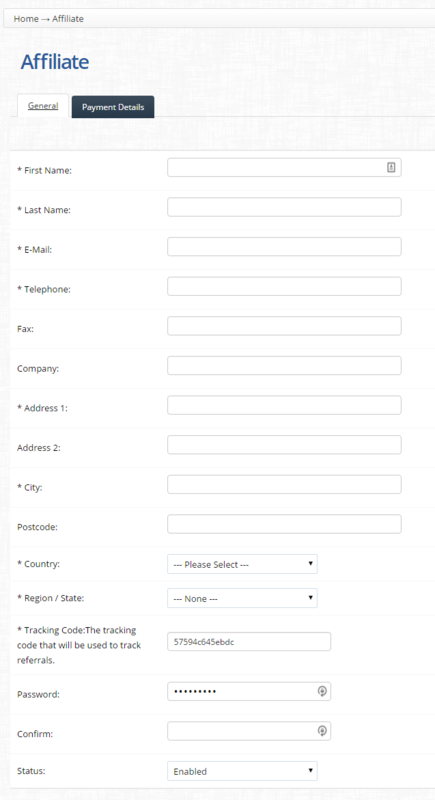 Enter in the percentage that you wish to set for the AFFILIATE COMMISSION. Tracking Code Unique code for the affiliate to generate sales links. This code is used to track sales referrals. 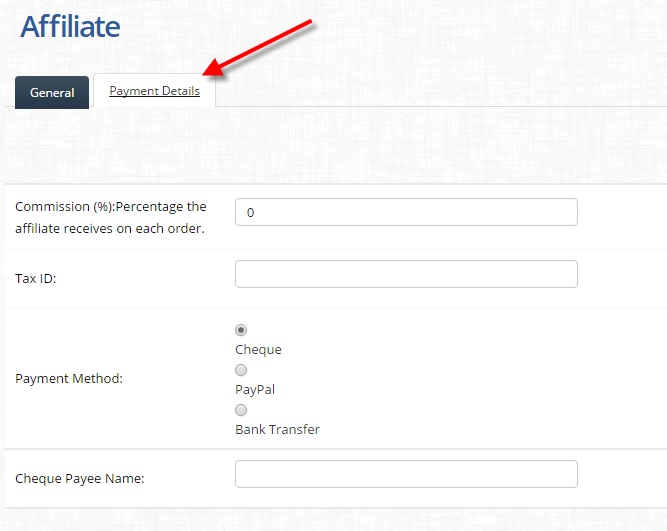 Once you have completed the Payment section, make sure that all the settings for the affiliate is complete and then select the SAVE button in the top right hand corner. 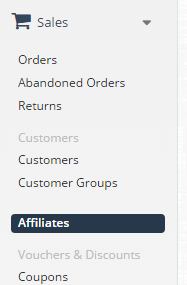 Once your affiliates start to make sales you can see their balance in the affiliates area.